The quality or smoothness of a surfaces greatly influences the look and in some cases functionality of a product. In this section we will explain the basic concepts related to the quality of surfaces and elaborate the terms like "radius of curvature" and "curvature continuity" . 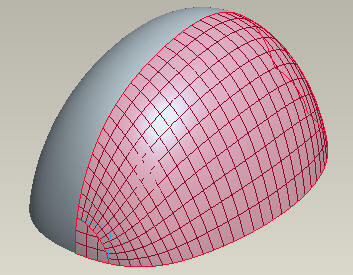 We will also learn to use the tools offered by Creo Parametric to analyze the surfaces. 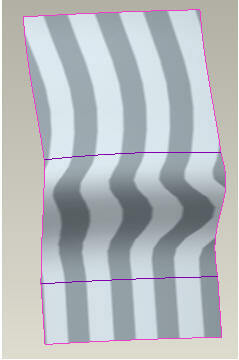 Most of the surfaces are built around datum curves. So quality of surface directly depends upon the quality of curves. Understand the difference between curvature continuous and discontinuous curves. 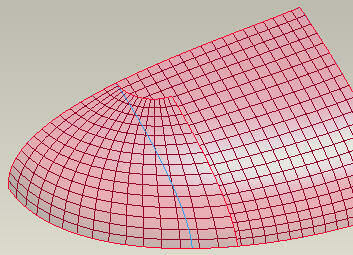 Modify it a curve make it curvature continuous. The quality of a surface is determined by the quality of individual surface patches and their connection with each other. A surface analysis is usually performed after curve analysis to check the quality of the surface. Analyze a quilt with Dihedral Angle tool to determine the level of tangency. Analyze a surface to determine if it has sufficient draft by using Draft Check tool. 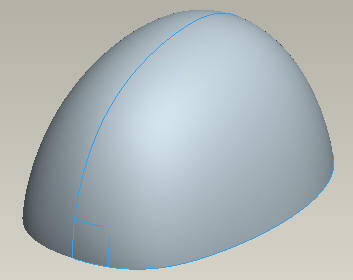 Surfaces with singularities are considered to be of poor quality and make the offset, thicken or shell operation very difficult. Furthermore surfaces with singularities are unstable during regeneration. In this section, we will build two surface models elaborating how to avoid the singularity problems. "Presentation of the tutorials is clear and includes every step -- which is a refreshing change from a lot of tutorials which contain annoying procedural gaps. One bonus! it also helped me make the long-delayed leap from ProE2001 to Wildfire (3) easily." Copyright © 2007 ProE Tutorials. All Rights Reserved.